The traditions of the Pygmies of the Ituri River in Zaire lend the supreme sky-god, Arebati, the attributes of thunder, lightning and the chameleon. The last is the Demiurge, creator of mankind, and therefore sacred. If Pygmies come across one, they carefully remove it from their path for fear of attracting thunder and lightning. 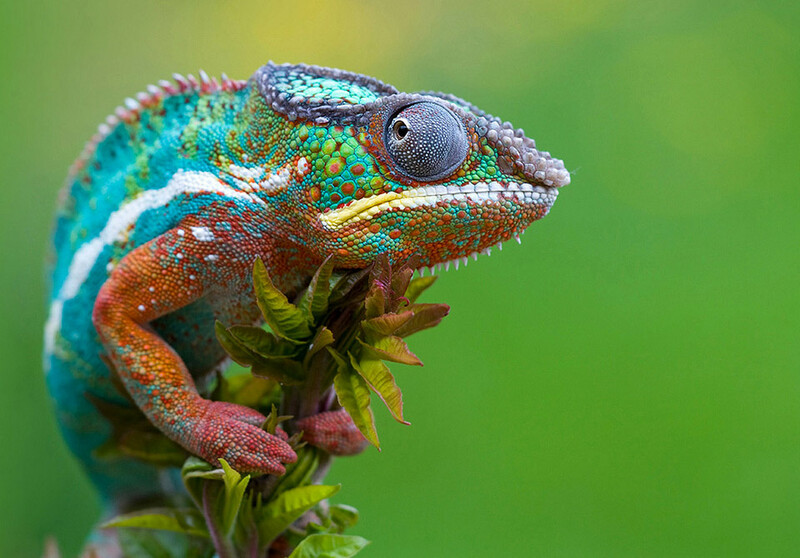 Since the chameleon climbs to the tops of the highest trees, it is the closest to God... One day a chameleon heard a rustling and a muttering in a tree-trunk. It split the tree and out flowed a mass of water which divided and spread over all the Earth. This was the first water in the world. With the water emerged a pair of human beings, a woman named Otu (‘Blood’) and a youth named Mupe... Their eldest child was father of the Pygmy race and their second of the Black race... The tree from which they sprang was the father of all trees. 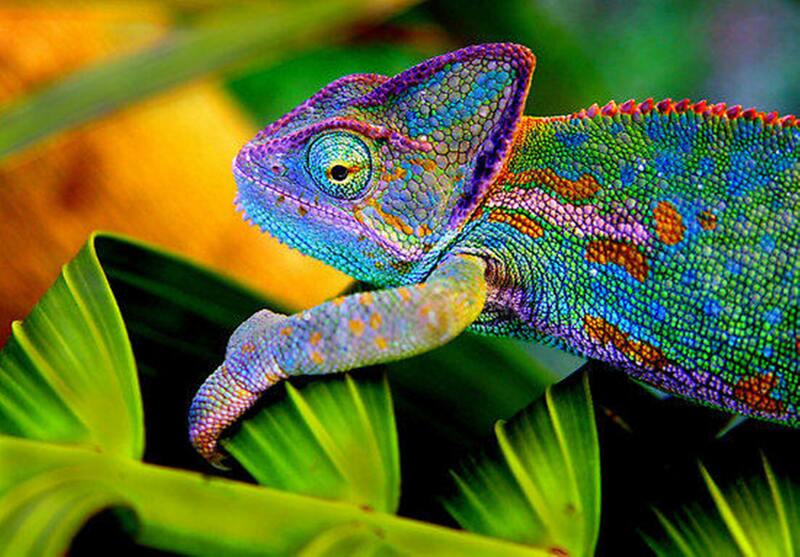 The chameleon made it bear fruit and from this fruit came fresh species to which the chameleon gave their names. In this way he named all kinds of animals except the goat, which came straight down from Heaven. The part of go-between played by the chameleon between mankind and the sky-gods seems to have been recognized in antiquity in Europe. ‘The head and gullet of a chameleon burned with oak give command of thunder and rain.’ Through the chameleon, the Sun was able to communicate with mankind. 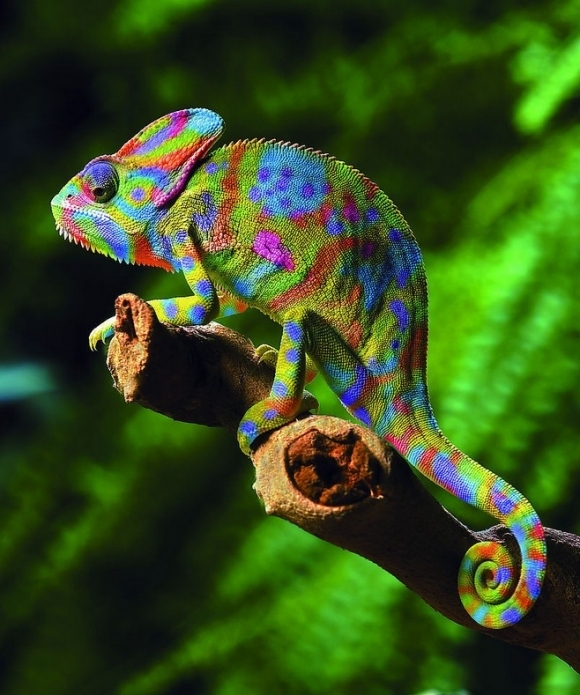 Since the chameleon ‘has been given every colour’, the Dogon associate it with the rainbow, the path from Earth to Heaven. The Ela of Upper Volta regard it as a fertility symbol and hence employ ashes of the chameleon to prepare magical and medicinal powders. In African civilizations, the solar role played by the chameleon is illustrated in Dahomeyan shrines by the figures of the Supreme Deity - Lisa (Fon) or Orisha (Yoruba) in the Voodoo pantheon - as a chameleon with the Sun in its mouth. This is somewhat akin to the Ancient Egyptian scarab. It first appeared before the Earth had completely emerged from the primal waters. Because it had learned to walk in the mud, the chameleon adopted that slow and apparently lazy gait. And this was the reason for the arrival of Death. What happened was that Uculunculu (a Demiurge and the first man) entrusted the Chameleon with the message for mankind that they would not die. 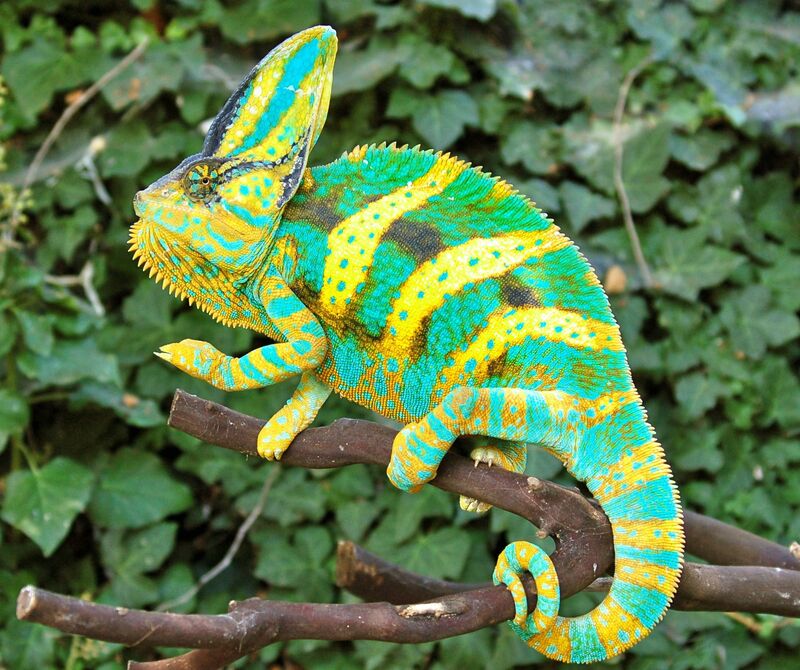 But the Chameleon lingered on the way and in his annoyance Uculunculu sent the lizard with the message that they would die and the lizard got there first. 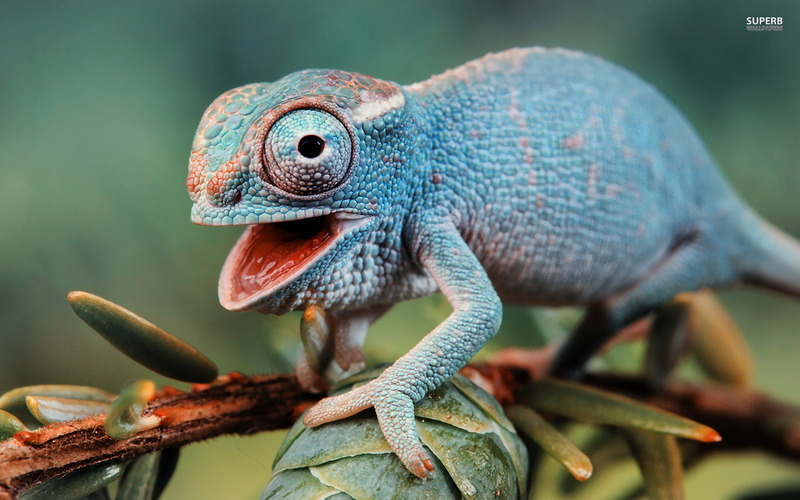 Death is therefore the result of the chameleon’s laziness and stupidity. 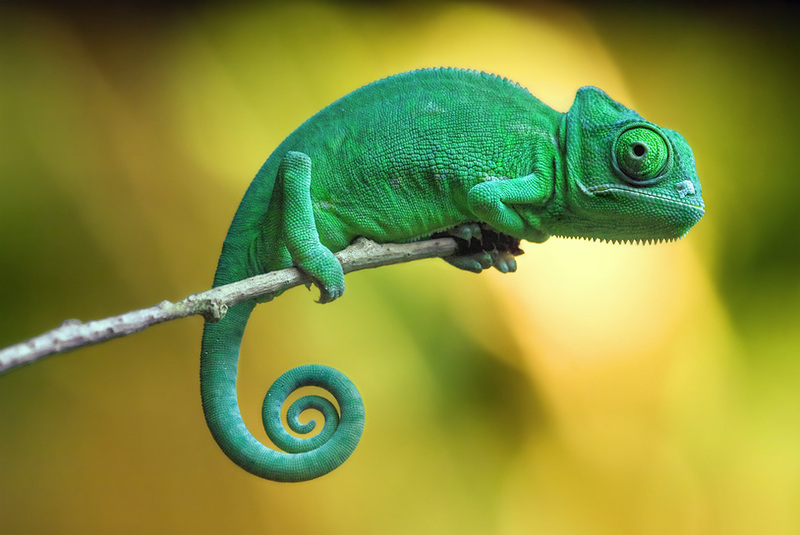 In the legends of the Kaydara, the chameleon is endowed with seven qualities, as many symbols as are revealed to the initiate. 1. It changes colour whenever it wishes. 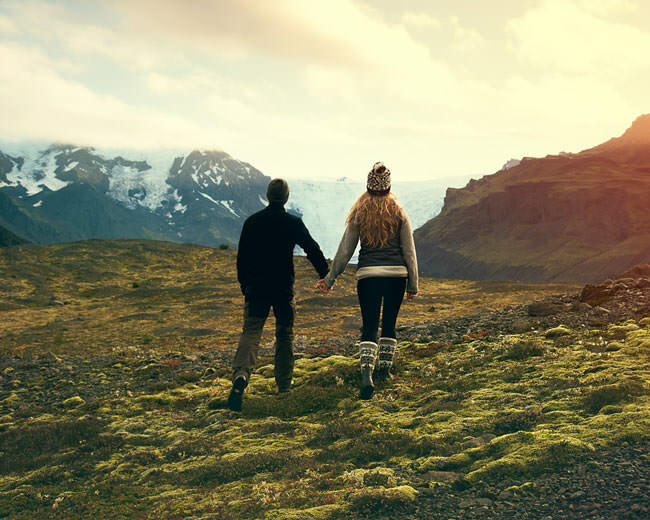 On the positive side this is to be sociable, tactful and able to engage in pleasant conversation with anybody and to adapt oneself to any circumstance and to any social environment. Negatively it is to be hypocritical, changeable, swayed by sordid interest and base intrigue. 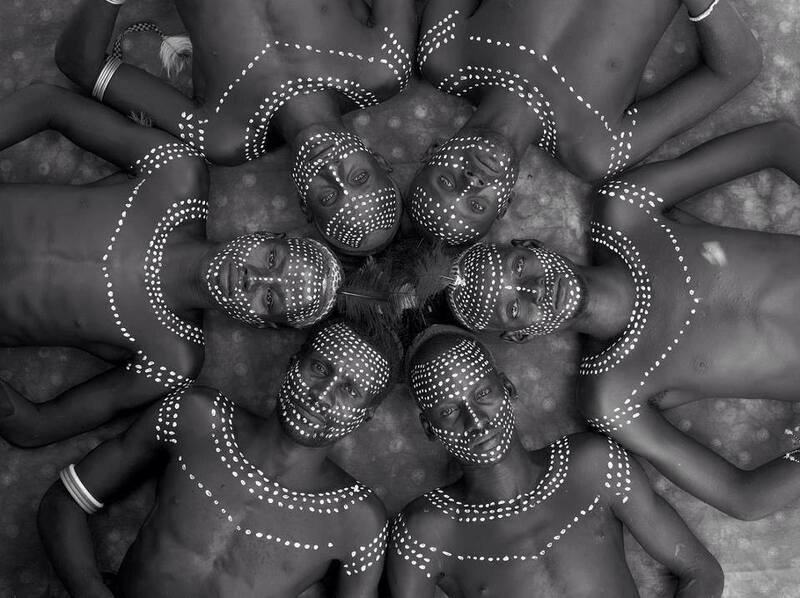 It is also to lack originality and individuality. It is to spend one’s life in the anteroom courting the mighty. 2. Coiled in its belly is a long, sticky tongue which enables it to take its prey from a distance without having to pounce upon it. If it misses its aim, it simply retracts its tongue. This is carefully concealed greed, persuasive talk which deprives the hearer of all means of resisting its arguments. It is the art of escaping from every dilemma, of deceiving with sweet talk, the ability to lie and wait patiently in ambush, the better to surprise one’s victims. 3. It steps carefully, one foot after the other, unhurriedly. 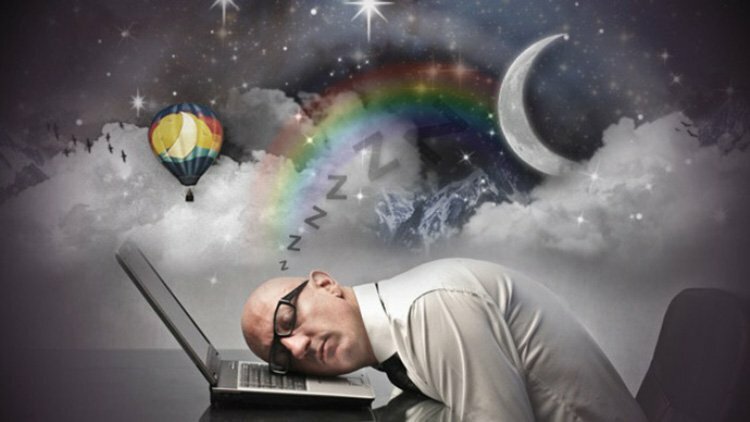 The wise man is circumspect and never rushes headlong into anything. 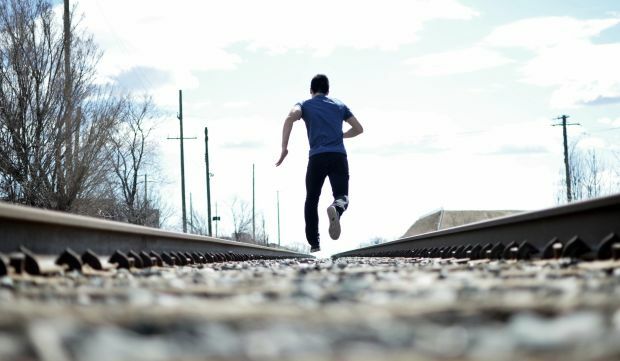 He balances its importance and its risks without a spark of generosity and without taking the slightest risk. He spies out the land and makes sure before advancing a step or venturing advice or making a decision. 4. It does not need to turn round to see what lies about it. Slightly bending its head, it lets its eye revolve in its socket and sweep the horizon. It is the crafty watcher, impervious to external influence as it gathers in every scrap of information. 5. Its body is slender-flanked, soft-skinned but lithe and dexterous. 6. It has a spiny ridge along its back. In a positive sense, this may be taken as an assurance against any surprise; negatively, as empty vainglory. 7. It has a prehensile tail. Hypocrite and coward, it steals other’ goods behind their backs and without the least appearance of ill intent. This is a trap set to obtain an advantage in a manner which could not be foreseen. 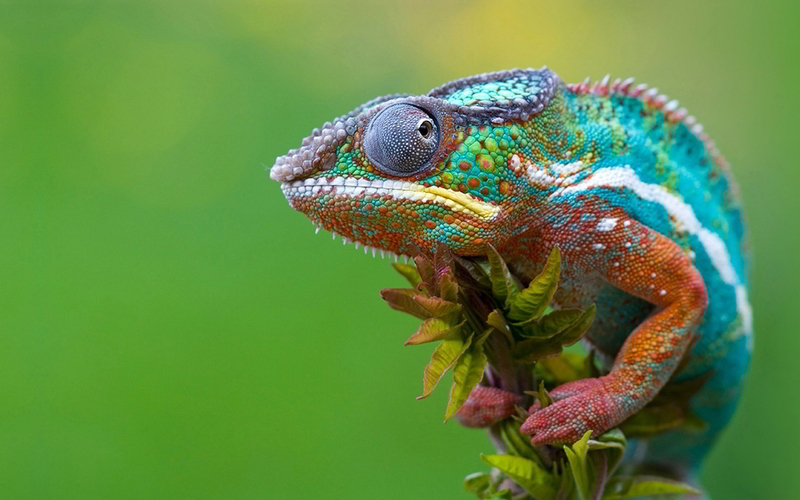 Thus, even in Africa, the symbolic significance of the chameleon may be seen to shift from the cosmic to the ethical and psychological plane, marking a similar shift in the points of interest and observation. 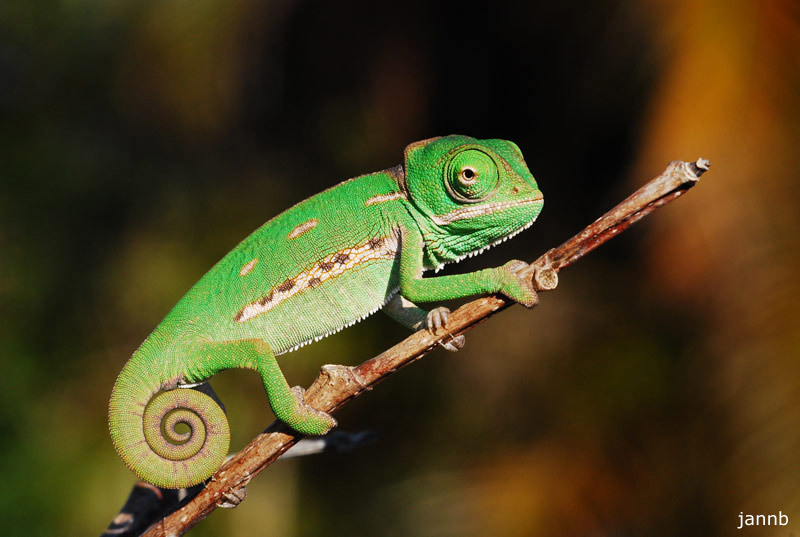 From the Demiurge which fails in its task of making man immortal, to the creature whose physical characteristics and habits illustrate the teachings of the initiator, the chameleon exhibits a startling bipolarity, positive and negative, which brings together its strengths and weaknesses.